You can use a Posts module on a Singular Themer layout to create a related posts section that will not display your current post. 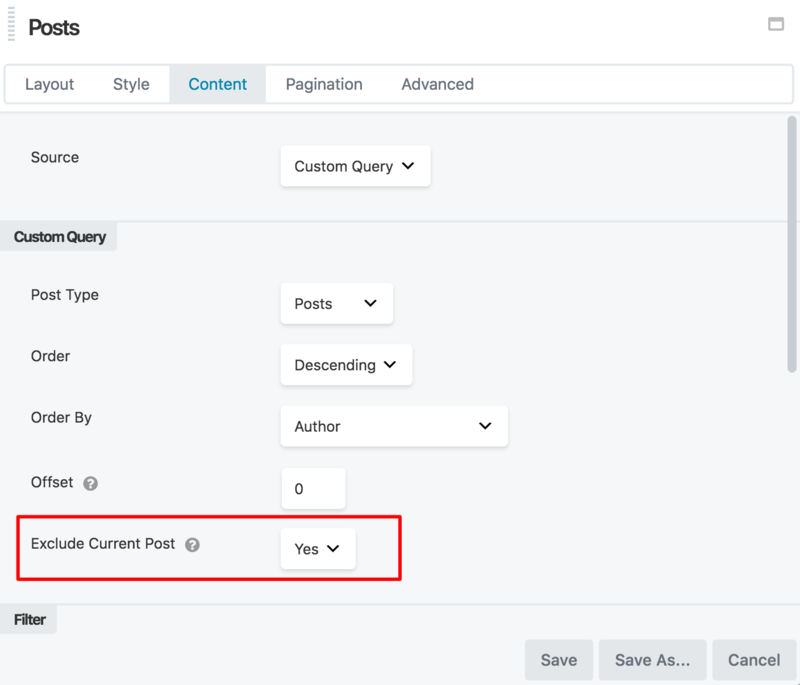 The key to making it work is to exclude the current post from the query, using the Exclude current post field on the Content tab of the Posts module. Add the same WordPress tag to each of your related posts. You’ll use this tag to identify your related posts. Create a Singular Themer layout for single posts and add a Posts module where you want to display the related posts. In the Posts module, click the Content tab and make sure the Exclude Current Post option is set to Yes. In the Filter section, add the tag to the tag filter option.